When I get weather information, I prefer to receive it in a straight-forward, minimalistic fashion. Living in California, I could care less about wind speeds, humidity, or any other calculations that I can't analyze in a second. I essentially use the information to help decide whether I'll be wearing shorts or pants on a given day, so give it to me bluntly. Thankfully, the development team at Basic Function understands where I'm coming from and have developed a relational weather app called Thermo Diem that provides weather information in a minimalistic way by relating it to how it felt outside the previous day. 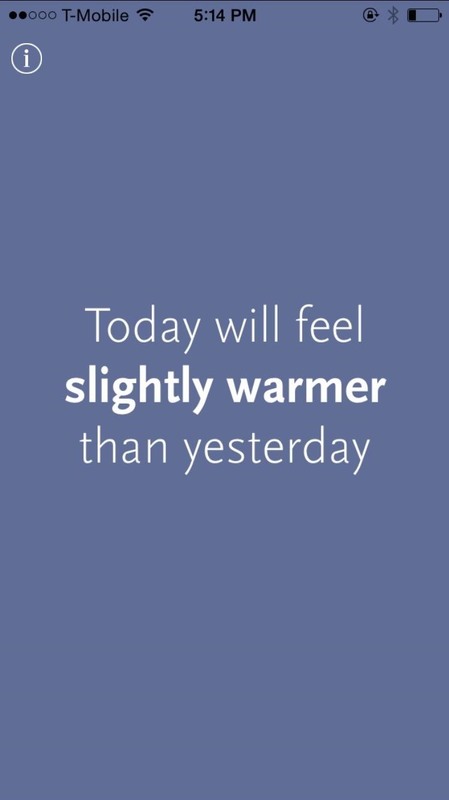 Taking into account humidity, wind, and temperature, the app bases its information relative to what it felt like "yesterday," which allows everyday people to easily assess their day's forecast. Install the app for free from the iOS App Store to get started. Once you open the app, you'll immediately realize how minimal it actually is. 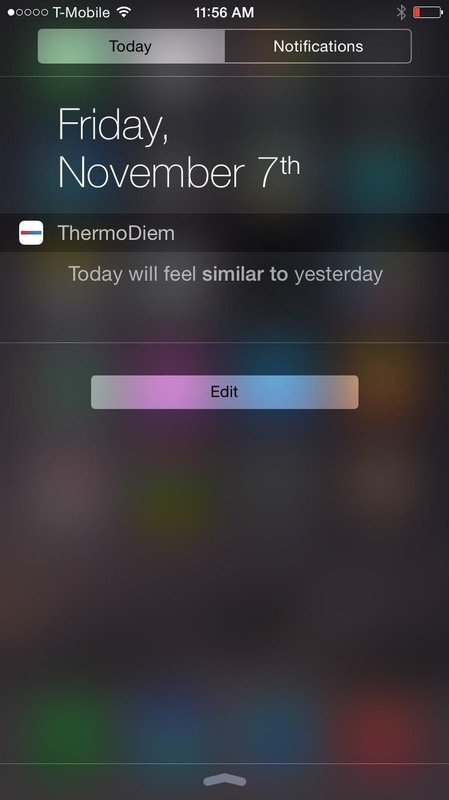 Thermo Diem has only two screens: the settings, which is where you add locations or remove ads for $0.99, and the actual weather information. 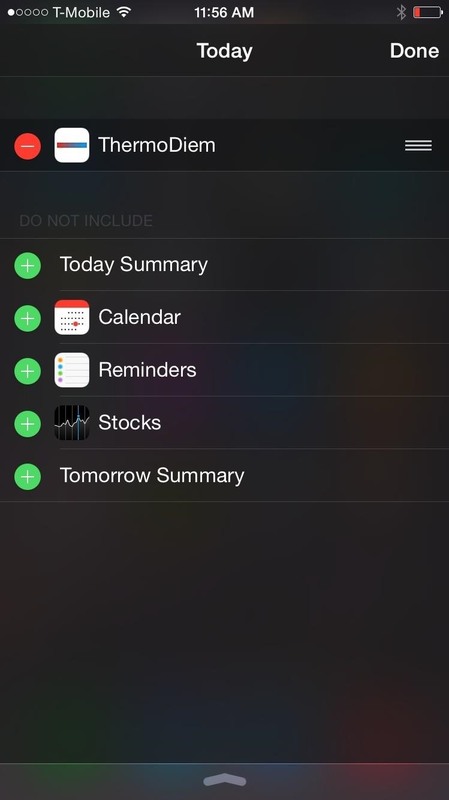 The widget makes it even quicker to view weather information from your Notification Center. Just apply the widget and pull down to view. 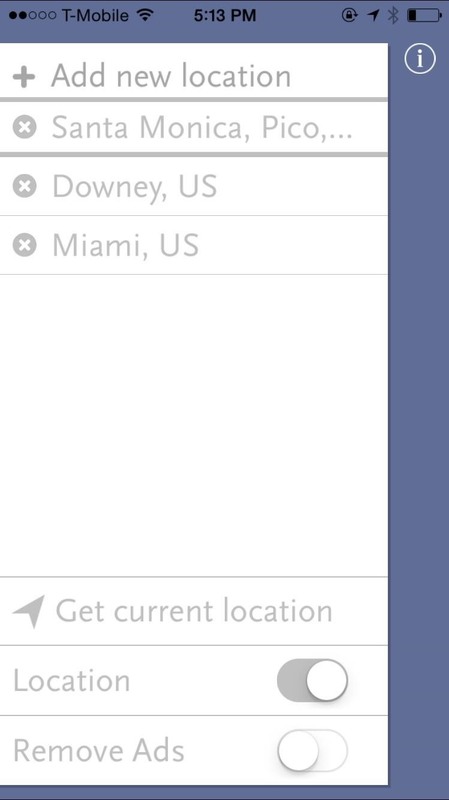 To change which location is used in the widget, open the app and just tap a location under the settings; whichever info is shown in the app is what will be shown on the widget. If you can recollect what the weather was on the previous day, then you can use this app and appreciate its simplicity.